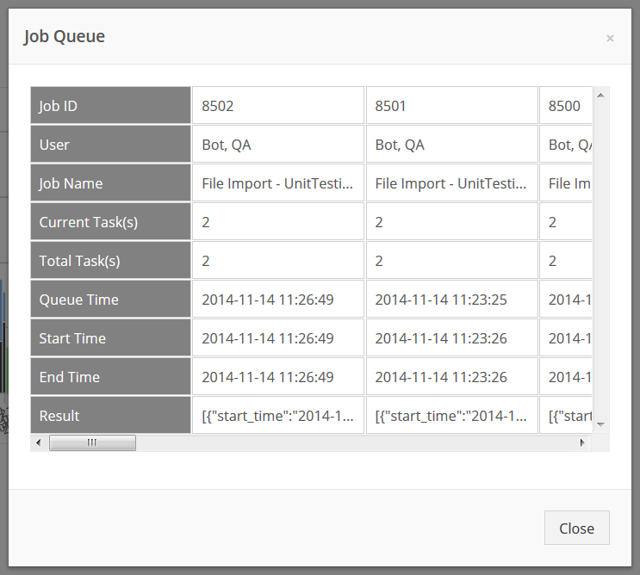 Documentation and SupportReleases 2014-11-13 ReleasesThe Job Queue and the Job Queue(all) Modals are now in a vertical format for better readability. Prev: New Drag and Drop functionality. Next: Added the 'Add All' and 'Remove All' button in the field configuration tool.